This time last year J-Novel Club quietly launched. The service brought a new way for us to legally consume Japanese light novels in the West, and slowly the company has evolved and become fairly well-known to the average consumer. J-Novel Club are now celebrating their first birthday, so I’m here to explain how things have changed, what could be improved, and just what the service is all about. Back when J-Novel Club launched they did so overnight and so quietly that many of us questioned if the service was even legitimate (a problem that still plagues them – but more on that later). After Anime News Network published a press release confirming that the company actually was official, I gave them a go and haven’t regretted it since. For those who don’t already know of the service, J-Novel Club specialise in licensing and translating light novels for a digital release. As a volume is being translated, it’s released in parts on the J-Novel Club website or app. Members are then able to read the parts until the volume is ready to go on sale as an ebook (these are available through most major digital stores). The service has two levels of membership: a standard one that lets you read the parts week-to-week until they’re removed, and a premium membership which offers the same as a standard membership but also gives you credits once a month that can then be exchanged for an ebook of your choosing. The standard membership is only $4.95, which works out as less than £4 a month with the current exchange rate, so it’s not a bad deal if you’re someone who likes this kind of thing. Although the selection of titles at launch was limited to Occultic;Nine, Brave Chronicle: The Ruinmaker, My Big Sister Lives in a Fantasy World, and My Little Sister Can read Kanji (only one of which people were familiar with) the collection quickly grew and, to help balance out the more obscure offerings, now includes hits like Grimgar of Fantasy and Ash and Invaders of the Rokujouma!?. Having the original light novels for popular anime series is a big win for the company but their selection is still very lacking if you’re not into fantasy world adventures – which make up the bulk of their offerings. This is sadly where the small problems with J-Novel Club begin to creep in. 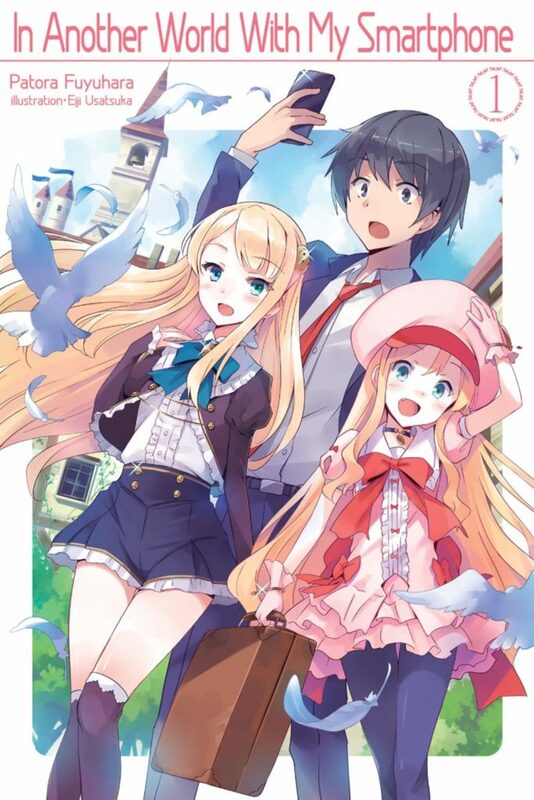 If you’re familiar with my reviews then you’ll know that I’m a huge fan of fantasy stories with protagonists being transported to a fantasy world or stories about VRMMO’s like Sword Art Online, but even I have to admit that J-Novel Club has too many right now. Out of their 19 titles, more than half of them fit the genres I’ve just described, and it really would be nice going forward to see some series aimed at different audiences. For the company to keep growing I think it’s vital that they continue to attract new customers with a wider range of light novels. However, just because I’m complaining about the selection of titles doesn’t mean that there aren’t some real gems hidden here. For example, J-Novel Club are translating a series called Infinite Dendrogram, which is a VRMMO story that easily rivals Sword Art Online. 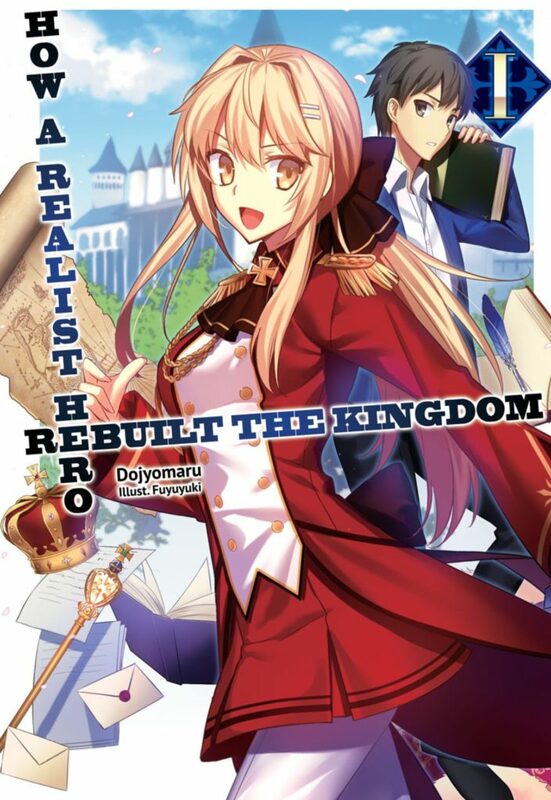 Then we have How a Realist Hero Rebuilt the Kingdom, which is a bit of a Spice and Wolf inspired story. The main character is transported to a fantasy world, having been summoned to be a hero to defeat the demon lord. However, it quickly becomes apparent that our hero has an eye for politics and ends up becoming the new king! It’s truly a really special story and well worth checking out if you have the time. The nice thing is that J-Novel Club have managed to strike a deal with Seven Seas Entertainment to bring some of their licenses to print. This includes Occultic;Nine, Grimgar of Fantasy and Ash, as well as Arifureta: From Commonplace to World’s Strongest (which doesn’t have an anime behind it), so if a series seems like it’s doing well digitally – or could do well in print – then it’s not completely out of the question that it will be published physically. Overall J-Novel Club have come a long way since their launch. The team’s translators and editors are very good and of the eight titles I’ve read there haven’t been any major issues to speak of. If there are delays for part releases or any other kind of problem, the team are very quick to share this information with their customers. They’re also often active on the J-Novel Club forums and happy to answer questions about their translation choices. Some things, however, haven’t changed since launch. Currently the mobile app is in a desperate need of an update to add a dark mode for reading and a way to select titles to add to a library and keep track of. Right now you have to scroll through latest releases or pick out the titles individually, which is fine for someone who checks the app daily but is otherwise messy and easy to lose track of. There also needs to be a better way for users to find out which books are about to expire, which currently can only be found by going through the site’s forum or in the monthly newsletter. J-Novel Club have just about everything else perfect but the little things really drag the experience down a bit for the average user. The other downside is that once a volume of an ongoing series has been removed, it can make the service less interesting for new users as the majority of titles are ongoing. There isn’t really an easy way to get caught up with these series without buying multiple e-books first. The team are trying to alleviate this issue by offering ‘catch-up’ periods where you can read some of the books from the earlier volumes through to the most recent volume, but so far this has only happened once. There’s also been talk of making every book in a series that they’ve published and translated available on a rotating cycle but this seems unlikely to begin until J-Novel Club have more titles to work with overall. So far J-Novel Club have done well to build a service that fills a hole in the light novel market. I don’t always have time to keep up with every light novel series put out in print, and sometimes there are titles I want to check out but not necessarily buy to own, and J-Novel Club scratch this itch really well. For a small monthly payment I have access to a collection of titles I might not have tried had they not been released in this form. In a way I think the service is revolutionizing light novels in the same way simul-publishing manga and simulcasts of anime have changed those markets. The demand might not be quite as high for light novels but it’s certainly a growing industry, and there is something really appealing about the fact J-Novel Club can translate their series so quickly. Some of their licenses have caught up to the latest volumes released in Japan already! As someone with a real love for light novels I’m glad to see J-Novel Club doing so well a year after their launch. The future looks bright for the service, and as long as they add more titles covering a wider range of genres I think they’ll eventually have something to offer everyone. Right now however, if you’re a fan of fantasy series then definitely go and give their titles a try. Although some of the names might put you off (like I Saved Too Many Girls and Caused the Apocalypse) there is no harm in trying. I’ll be eagerly awaiting what the next year for J-Novel Club brings. Crunchyroll have been in the news lately for both removing a lot of content and adding in some new series, but despite this the service is still struggling. We take a look at the problems plaguing the manga arm of the anime industry’s biggest streaming platform. Is It Wrong to Try to Pick Up Girls in a Dungeon? is a series with over twenty light novels to its name. Demelza investigates how author Fujino Omori keeps the series innovative and from falling into the trap of so many other series. With more options becoming available to read manga and light novels legally, has 2018 been a good year for print and digital formats? The AUKN writers are here with some recommendations of titles you won’t want to miss!